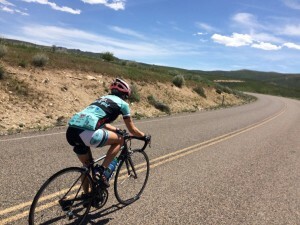 A blog post by Laurie Marlowe on the value of a bike fit. As an avid cyclist and a physical therapist, I fully appreciate the importance of a well-fitting bicycle. In fact I’ve been meaning to get around to having a professional bike fitting for my Cervelo R5 for some time now. A bad experience with poorly trained bike-fitter several years ago however left me dragging my feet. Then I heard about Julie Young from some women that I was riding with. She was excellent, they said; “highly recommended.” Well I’ve now been working with Julie as my coach for about the last 18 months and I finally got around to scheduling that a couple of month ago. And while my first experience left me limping away with a much lighter wallet and a bike that felt weirdly upright and downright unstable, this one left me not only more comfortable on my ride, but also with a new focus on my form and body position. It also helped me realize I need to address some physical issues, specifically a lot of tightness of my left hip musculature. When you walk into walk into Julie’s office at Silver Sage/O2 Fitness, prepare to be thoroughly evaluated. Julie will pretty much check out not only your alignment, but also your range of motion of most body parts. She wields a goniometer (device to measure the angle of your joints), with the expertise of a seasoned P.T., which she is not by the way, however I’d argue that if she’s ever contemplating a change of career, our profession would welcome her knowledge and observational skills! Next step is to put you and your bike on a Computrainer for additional evaluation, which includes photos, more goniometric measurements and videos from several angles. All of this performed with Julie’s characteristic thoughtfulness and unflappable nature. During this time, she was sharing everything with me and carefully assessing and reassessing any changes that she was considering. So in the end I was really happy to discover that my bike actually was fitting me fairly well although se did have a few recommendations. She dropped my handlebars a bit and recommended a slightly longer stem to give me a better “cockpit” and position on the bike. This, she told me, would also help me maintain a more neutral spine and help correct my problem of rounding my back when I ride. She recommended I could probably drop my seat 3 mm as well, although I’m waiting a bit on that for now. Her assessment also left me with some pretty good insights in terms of both some and postural habits on my bike. The good news: I had pretty decent trunk and hip stability (which I attribute in no small part to training with Julie over the last year and a half). Not so great however was my left hip range of motion, which was pretty seriously tight, and also the fact that I was not getting into a neutral spine position when riding. I ended up adding 10 mm to the stem length. Luckily I was able to borrow a stem from a friend for a 2-week trial before purchasing a new one, which I would highly recommend so that you’re not out the money if the change ends up not working for you. I’ve been working a lot on hinging forward, relaxing my shoulders and visualizing my sternum being pulled down toward the top tube, to maintain a neutral spine. 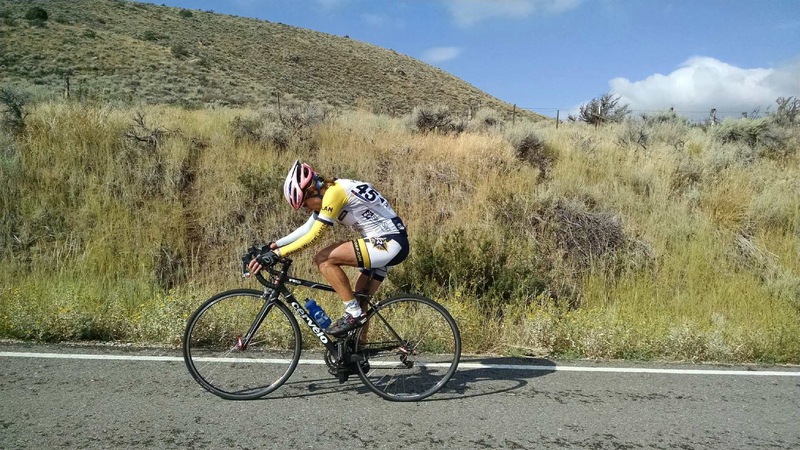 In the end what I learned focusing on better posture and positioning on my bike was even more valuable than the actual physical changes that were made to it. I must say that this wasn’t even part of the equation during my first bike-fitting, adding to my realization that there is a huge difference in the skills and qualifications of a bike fitter. I’ve added a couple of pictures of the before and after to give you an idea of how this changed my positioning for the better. (And yes, I’m a little horrified looking at the first pic to see just how far this was from a neutral spine position)! Needless to say, I’m very happy with the outcome and benefit for the money spent. Now it’s just training, practice and awareness as I work toward becoming a better and more efficient cyclist. http://silversagecenter.com/wp-content/uploads/2014/06/SS_14171-Logo-Development-SportsLab-Horz-header-300x83.png 0 0 julieyoung http://silversagecenter.com/wp-content/uploads/2014/06/SS_14171-Logo-Development-SportsLab-Horz-header-300x83.png julieyoung2016-05-24 07:48:292016-05-24 07:49:21Who Needs A Bike Fit?